This immature sharp-shinned hawk (Accipiter striatus) was completely drenched after a night of soaking rain. Initially it looked pretty pathetic. After an hour of constant grooming, as the sun began to warm the upper branches of the cotton wood tree, the bird began to look pretty good. Flightworthy. This is North America’s smallest accipiter(wingspan 23″), named for its very thin legs. Also note the white dots on the back. 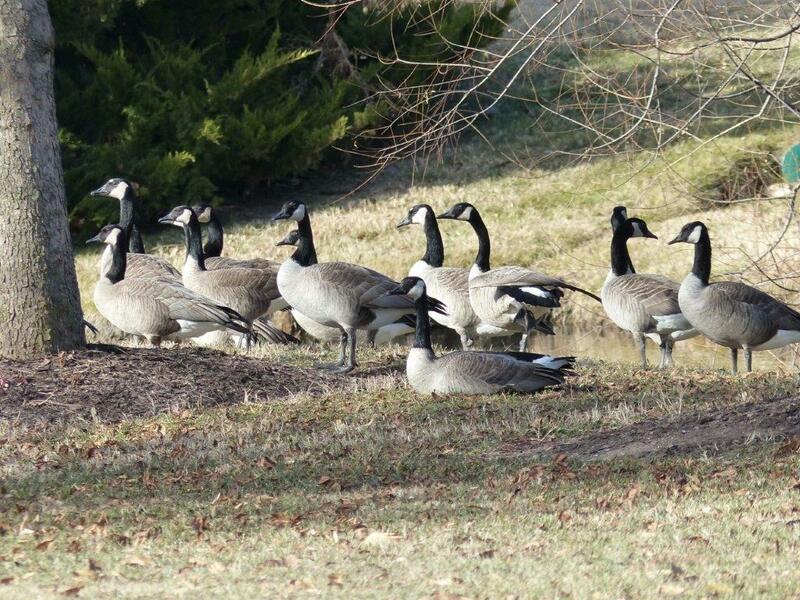 They summer in Canada and migrate to the U.S. for the winter. 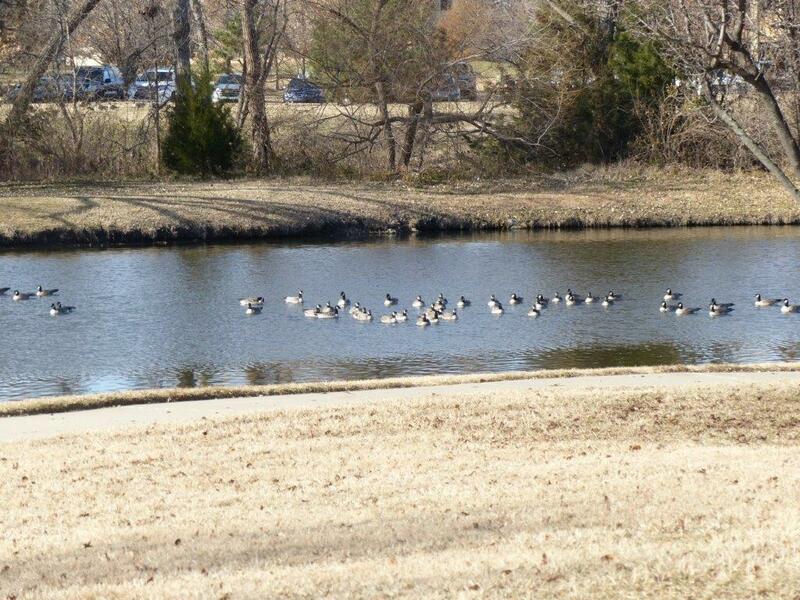 For several days here in Wichita and more to come we have 55 degrees (13°C) and Canada Geese, Branta canadensis everywhere I walk. On the water, onthe grass they are in the hundreds, these urban fixtures. 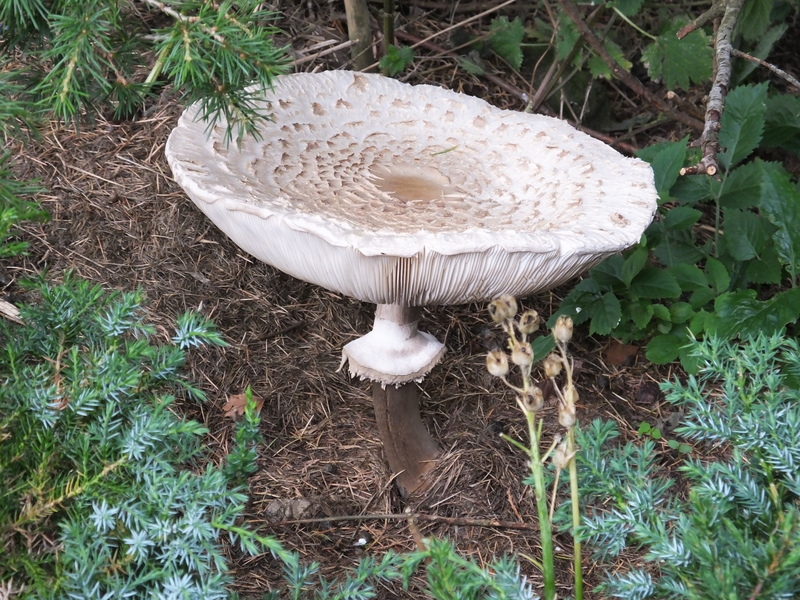 The first four photos show four successive days of a fruiting body of a Parasol Mushroom, Macrolepiota procera, in my garden. The fifth photo is of a nearby clump, which I ate. They are delicious (best before the flat stage): like a more intense version of the ordinary commercial mushroom. They are also quite large. The solitary one opened to 29 centimetres; the largest one of the clump was 21 centimetres and weighed 175 grams. Eating them is quite safe in the UK, as they are very distinctive and cannot be confused with unsafe species. This entry was written by whyevolutionistrue and posted on December 18, 2018 at 7:45 am and filed under birds, fungi, photography, video. Bookmark the permalink. Follow any comments here with the RSS feed for this post. Both comments and trackbacks are currently closed. 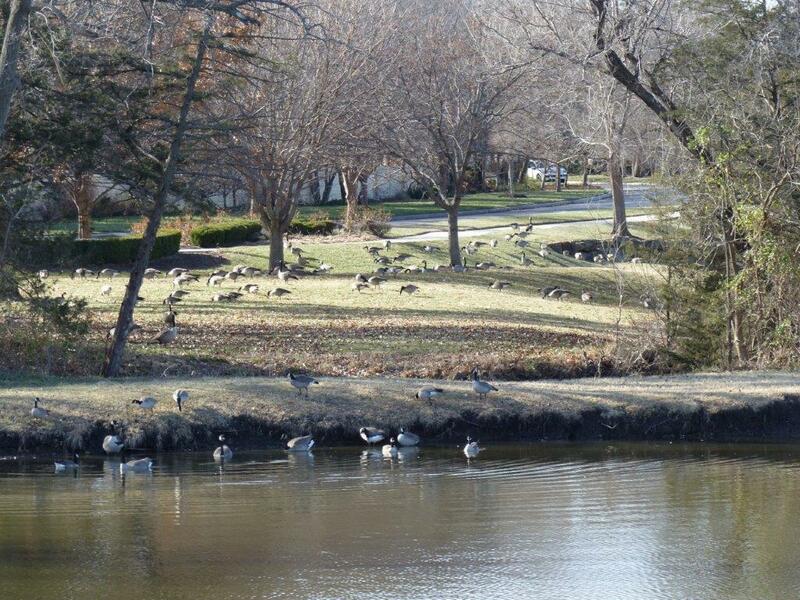 Up with fungi; down with Canada geese! 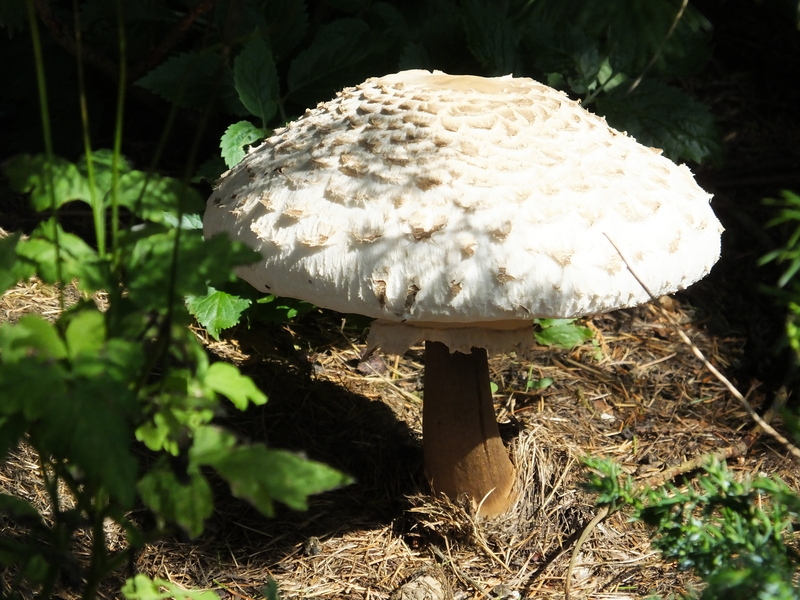 I love parasol mushrooms and they are among the few I actually dare to take myself, because it easy to identify. 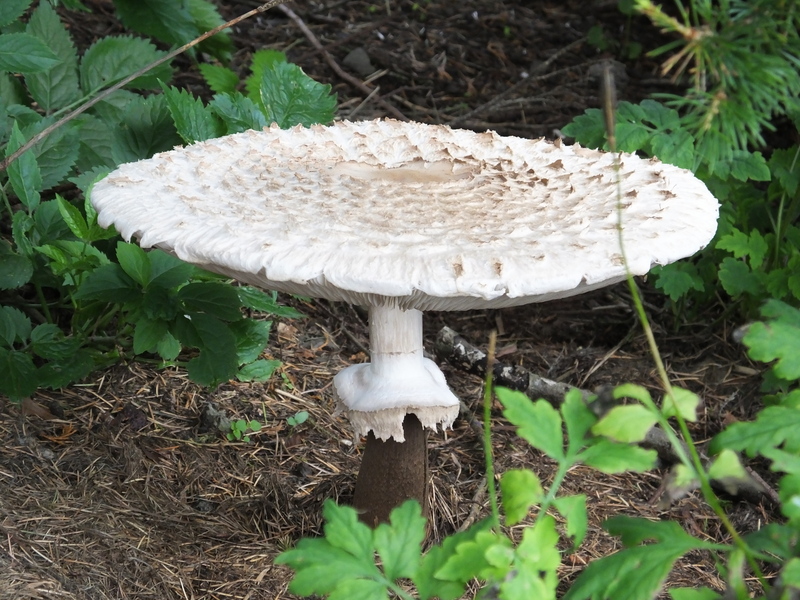 I did not know that its English name is parasol mushroom, I just learned a new word now. Sharp-shinned Hawks both breed and winter in the lower 48 states. 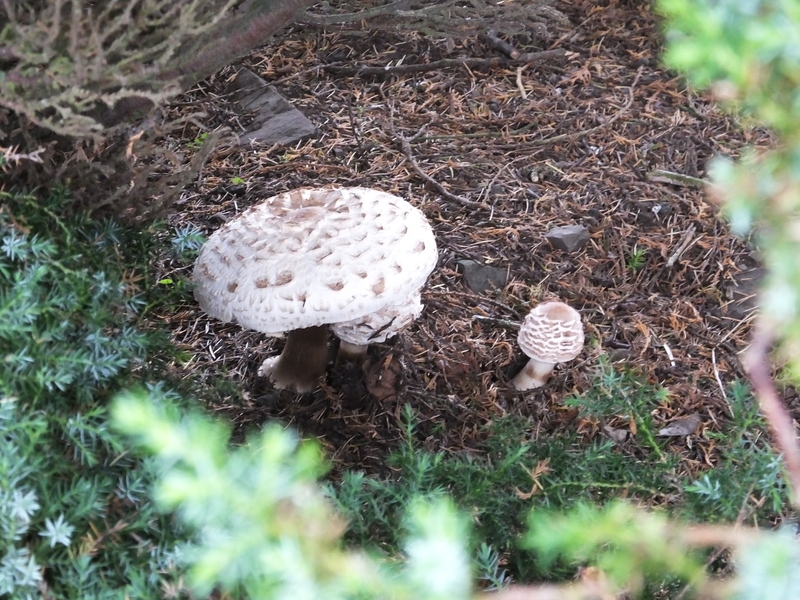 I am pretty sure I see these mushrooms, and I am quite sure I have seen many Canadian geese. Never ate either of them. 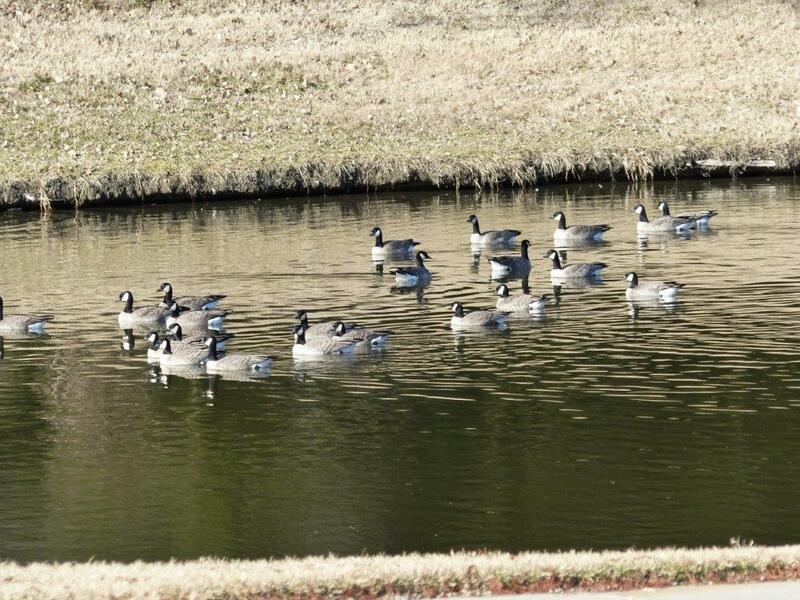 The geese must be loud as well…and watch where you step! Nice shroom sequence…we have a lot of edible shrooms around here, but I don’t know which are which. Best stay with the supermarket versions. 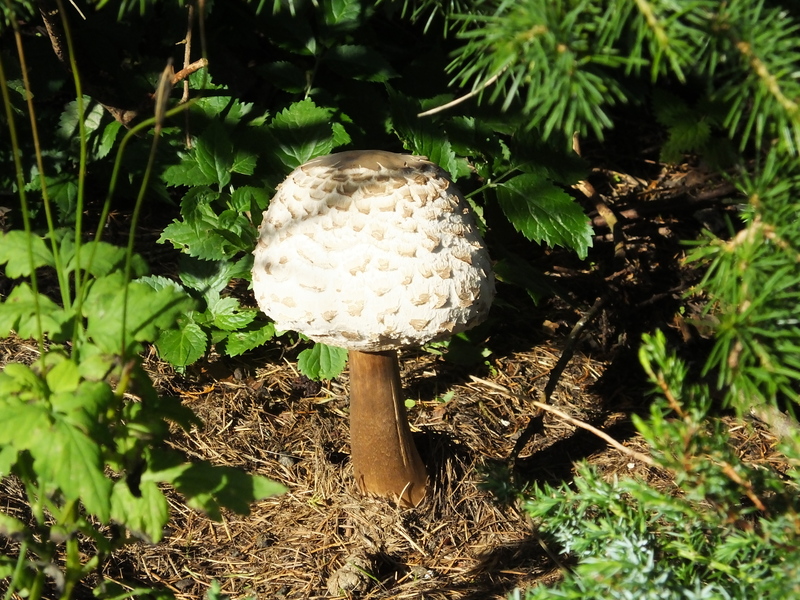 Please google images of the Death Cap (amanita phalloides) mushroom, also common in the uk. Eating a single one of these can cause a very slow and painful death. I don’t think you should recommend any mushrooms to others based just on few photos.